Captain Holmes counts the first batch of chickens to be barbequed at the joint Capron Firefighter and Lions Club fundraiser. 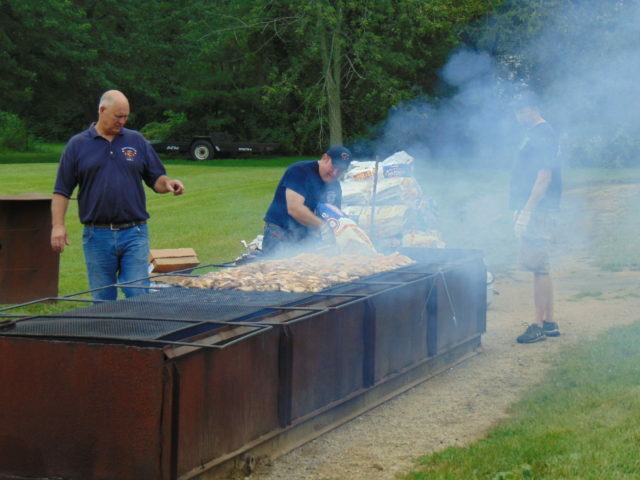 “We are in our fourth year of doing the Chicken BBQ,” said Captain Greg Holmes as firefighters put more coal on the grill and basted the chickens they were preparing on Saturday, Aug. 25. “We used to do this yearly but we got away from it for a while. When the Lions redid their kitchen we started doing the barbeque as a joint venture. The community likes it. “We [Fire District 1] will use the money we get for purchasing equipment or to put towards purchasing equipment for the district. 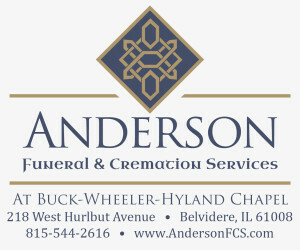 Sometimes we use part of the funds to send someone for specialized training.